Let’s do it again! Curated Cocktails is back with an Italian twist inspired by the current exhibition, Lara Favaretto. Bellinis, beats by DJ Blanq Wahl, and book prescriptions make for a memorable late-night experience for you and your friends at MCASB and the Paseo Nuevo Upper Arts Terrace. 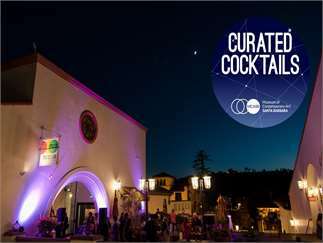 Curated Cocktails are part of Downtown Santa Barbara’s 1st Thursdays.